3lb rock polisher with one 3lb barrel. These are British built machines built to do the job by Beach Lapidary Ltd. They are simple to use but they are not toys and will give many years of service. We have been selling these excellent machines for over 35 years and recommend them. 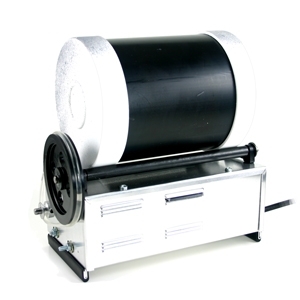 2lb Rock Polishing Machine with 1 x 2lb Barrel.